Recently, the Schools Select Committee of the House of Commons published a report on school trips. The document, reported in The Daily Telegraph, cited research that showed a decline in the number of trips and the amount of time children spend outdoors. The committee concluded that this was due to a combination of low funding for trips and teachers’ concerns over safety legislation. In a paper in Area, Clare Herrick claims that university field trips are under similar pressures. So, what is so important for students about time spent in the field, rather than in classrooms? Herrick lists several arguments in favour of field trips. Among other benefits, fieldwork fosters analytical skills, research design, team work and adapting research to unpredictable conditions and outcomes (pp. 108-9). The topics studied by geographers are wide ranging; as a glance through a geographical journal, or even past articles on this website, will reveal. However, a geographic approach to any of these subjects is rooted in an understanding of their context in time and space. Fieldwork helps us understand abstract and theoretical material by placing classroom theories in a real-world context (Herrick 2009). Finally, collection of empirical data in the field allows us to test and challenge established theories. 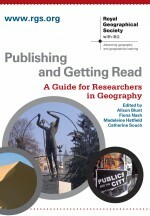 This may reveal more detail and prompt alternative ways of understanding the geographies of interest. This entry was posted in Uncategorized and tagged education, empirical data, field trips, field work, Herrick, research, schools, Schools Select Committee on April 16, 2010 by I-Hsien Porter.